Eight long-time participants in Canada's visual and media arts world, five men, three women, each found themselves $25,000 richer Tuesday morning. The reason? Each was named a recipient at a ceremony in Toronto of the 2014 Governor-General's Awards for excellence in visual and media arts. The awards, for lifetime achievement, have been handed out annually by the Canada Council for the Arts since 2000. Artists from Ontario, four in total, represented the single largest bloc of winners this year, while Quebec contributed two, British Columbia one and Nova Scotia one. All winners were scheduled to attend the announcement, held at TIFF Bell Lightbox. They'll also gather at Rideau Hall in Ottawa on March 26 to receive award medallions from Governor-General David Johnston. An exhibition of selected works by the laureates opens the next day at the National Gallery of Canada and remains on view through July 6. As ever, the winners reflect the exceedingly diverse nature of contemporary art-making in Canada. Kim Adams (born 1951) is one of two honorees from Toronto. 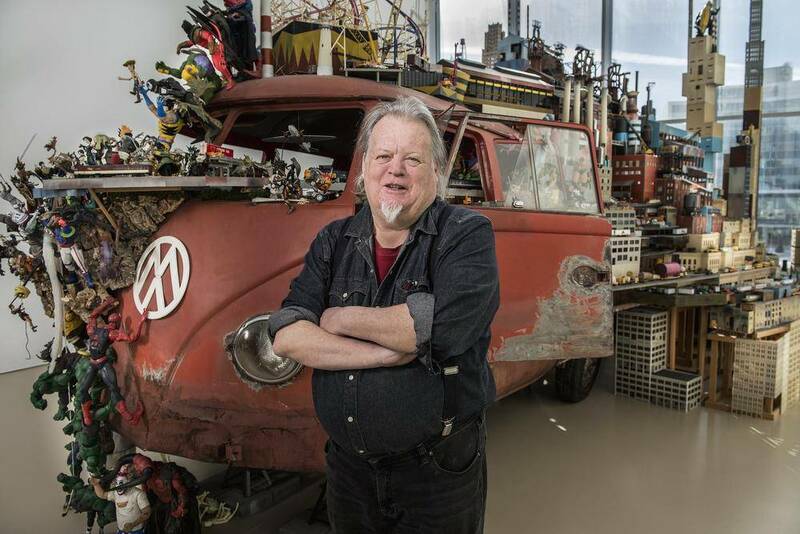 Educated at the University of Victoria, he’s known internationally for his large sculptures composed of diverse, often everyday materials – a Volkswagen van, action figures, wheelbarrows, industrial garbage cans, metal sheets, a tool cabinet. 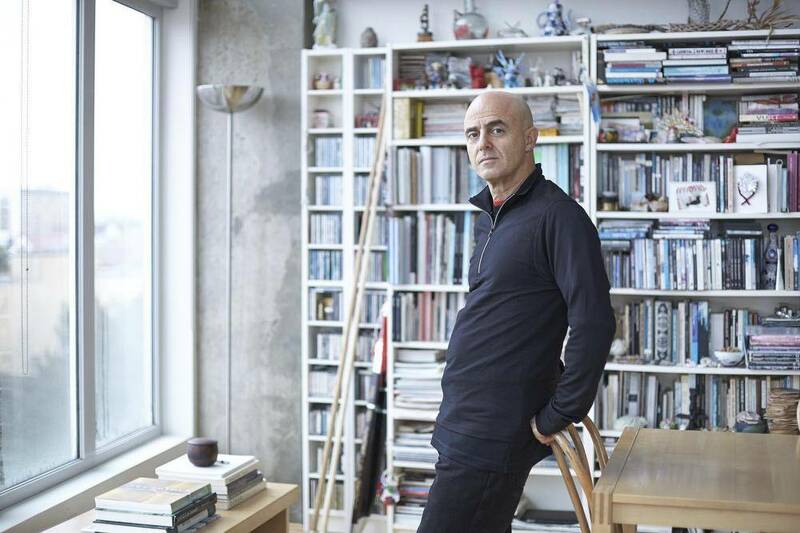 He’s had solo shows at the Art Gallery of Ontario and the Musée d’art contemporain in Montreal, among other institutions, and in 2012 was named the winner of the $50,000 Gershon Iskowitz Prize. Sandra Brownlee (b. 1948), from Dartmouth, is the winner of the 2014 Saidye Bronfman Award for excellence in fine crafts. 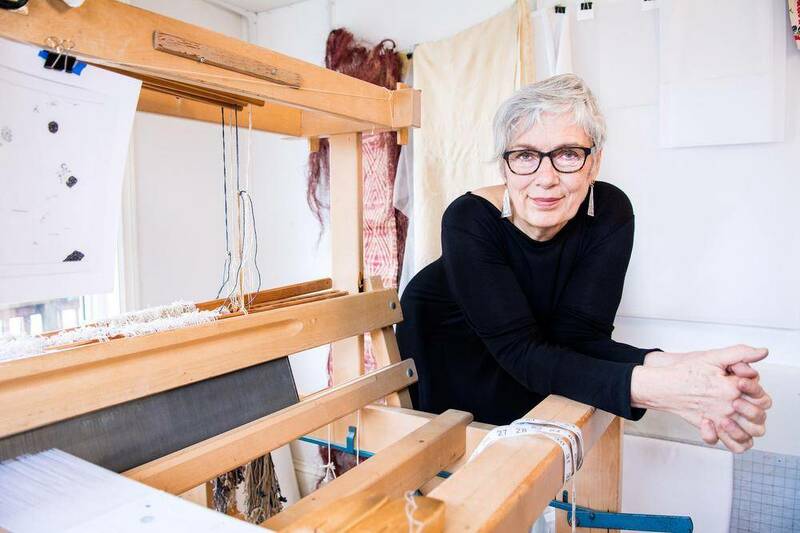 A “weaver/notebook keeper,” Brownlee has been creating “intimate and improvisational works, tactile records of a life-long journey” since the mid-1970s. Educated at what is now the Nova Scotia College of Art and Design University (where she has also been a teacher) and the Cranbrook Academy of Art in Michigan, she’s had numerous exhibitions, both solo and as part of groups, in Canada, including the Art Gallery of Nova Scotia, and the United States, including at the Maryland Institute College of Art. Max Dean (b. 1949) is the other Toronto-based laureate. Born in England, raised in Vancouver, he’s lived in the Ontario capital for 23 years. Dean’s a multidisciplinarian, with interests in sculpture, installation art, video, photography, performance, robotics and combinations thereof. He won the Iskowitz Prize in 2005, participated in the 1999 and 2001 Venice Biennales and in 1980 was one of 13 artists to represent Canada at the Biennale de Paris. Raymond Gervais (b. 1946) also represented Canada at the 1980 Paris exhibition. 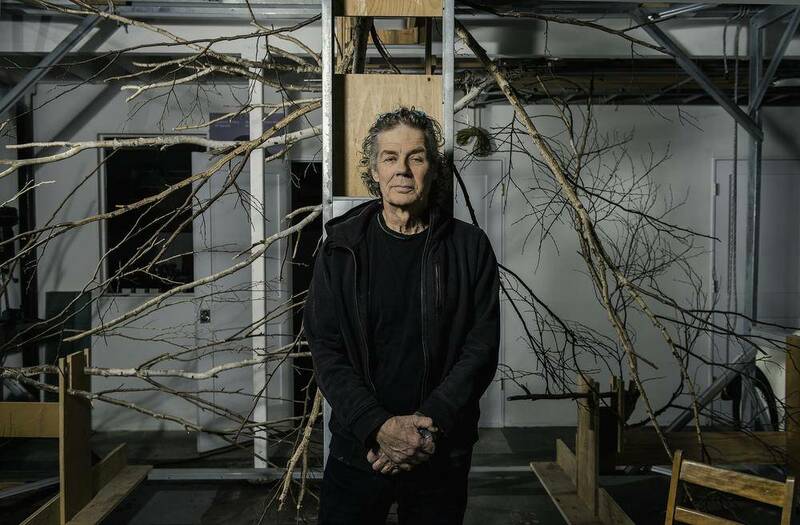 He’s a performance and installation artist based in Montreal, active since the early 1970s. 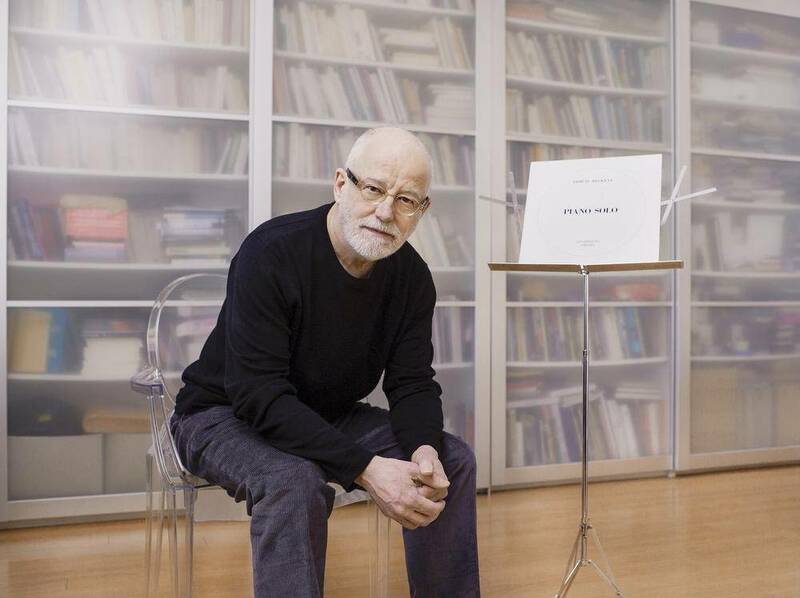 A major figure in Quebec’s contemporary art scene, his work has embraced music, photography, sculpture, performance and text. He’s been a curator, writer, radio producer and in 1980 was among the artists featured at the 1982-83 OKanada exhibition in Berlin, at the time the most ambitious and expensive showcase of Canadian culture ever mounted outside Canada. Angela Grauerholz (b. 1952) immigrated to Canada from Germany in the mid-1970s, attending Montreal’s Concordia University where she obtained an MFA in photography. Grauerholz is perhaps best known for her large monochrome photographs, opaque, cryptic, blurry, of interiors and city spaces. She was short-listed last year for the third annual $50,000 Scotiabank Photography Award and in 2010 the National Gallery hosted a retrospective of her work. In 1992 the photographer was one of nine artists representing Canada at documenta (9) in Kassel, Germany. Jayce Salloum (b. 1958) has lived in many locales including Kelowna, Toronto, New York, San Francisco and Beirut, and now calls Vancouver home. A self-described “image-maker,” he began his artistic career at 17 and has worked in photography, drawing, performance, text and installation art, “sensitively investigating the historical, social and cultural contexts of place.” His work is in the permanent collections of the Museum of Modern Art, the Centre Pompidou and Canada’s National Gallery. A mid-career monograph, Jayce Salloum: history of the present, was published in 2009. Brydon Smith (b. 1937) has had a distinguished career in curatorship dating to the mid-1960s. Hamilton-born, he’s perhaps best known for his lengthy, variegated stint at the National Gallery, beginning in 1967 as curator of contemporary and modern art. During his 32 years in that position he oversaw, in 1990, the controversial purchase and installation of Voice of Fire by famous U.S. abstract expressionist Barnett Newman. He served as the NGC’s chief curator/deputy director from 1979 to 1994. Carol Wainio (b. 1955) obtained an MFA from Concordia University in Montreal in 1985. 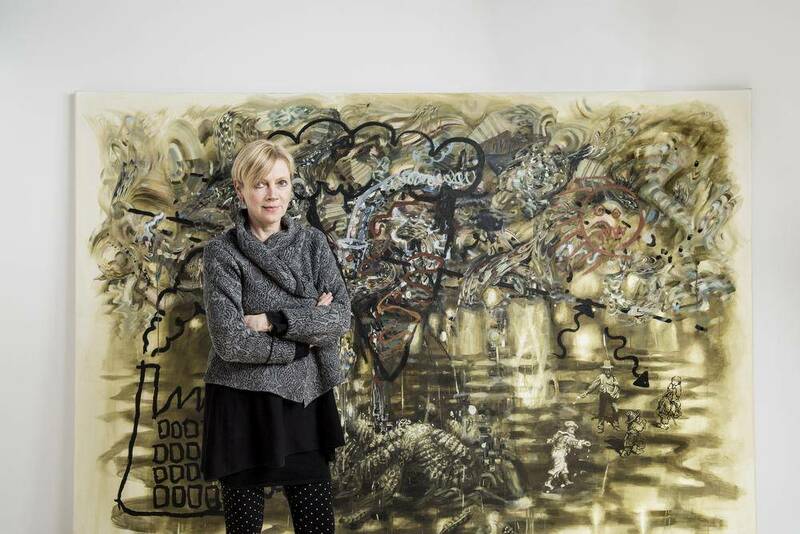 Now based in Ottawa, where she’s a painter and an adjunct professor in visual arts at the University of Ottawa, Wainio is known for her large-scale, highly layered acrylic canvases that explore “the nuances of history, narrative, representation and the changing nature of human experience.” Her work is included in the collections of the NGC, the Montreal Museum of Fine Arts and Calgary’s Glenbow Museum, among several other institutions.